Pamela Price (L), Libby Schaaf (C) and Cat Brooks (R) vie for mayor. f you want a lesson in the history of Oakland's progressive politics, Bobby Seale is a pretty good place to start. 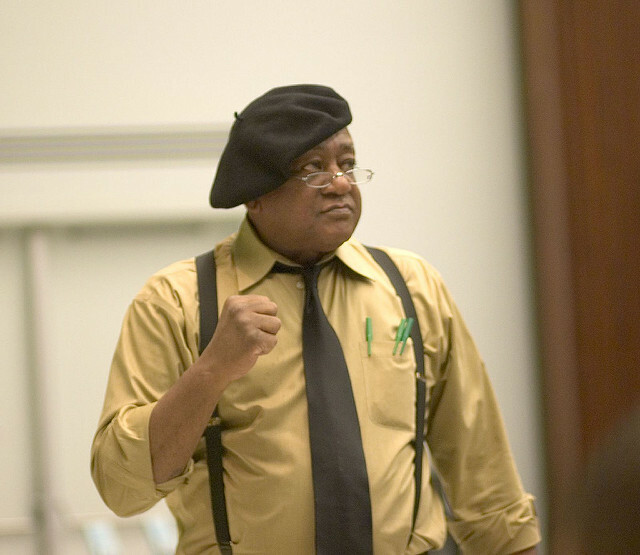 The 82-year-old Seale is best known for co-founding the Black Panther Party for Self-Defense in 1966. In the early '70s, as the party shook and shrunk under the weight of internal strife, increasing drug use by co-founder Huey Newton and a deliberate sabotage campaign waged by the FBI’s COINTELPRO, Seale returned to Oakland. He had just faced a murder charge for the killing of a Black Panther informant in Connecticut, but the jury hung. He was thinking about running for political office. In 1973, Seale ran for Oakland mayor against Republican incumbent John Reading. Seale ended up losing by a significant margin, but he forced Mayor Reading into a runoff, making it a real race by bringing about 20,000 black Oaklanders into the electoral process. In a single day he handed out more than 6,000 bags of groceries to residents in exchange for their registering to vote. It was a moment in history that echoes the tensions of the present: racial strife and deep political divisions. Back then the idea of a radical anti-police activist winning the mayor’s seat in a major California city seemed unfathomable. Maybe it still seems unlikely. But that was also half a century before President Trump, and the so-called deep-blue wave. This year young, progressive, first-time candidates, many of them women of color like Alexandria Ocasio-Cortez in New York and Ayanna Pressley in Boston, won races against incumbent Democrats. Could something like that happen in the mayoral race in Oakland, one of the most progressive places in the country? A popular Democratic incumbent mayor, Libby Schaaf, known nationally as part of the resistance for taking on President Trump by announcing immigration raids before they happened, is being challenged by activists who have protested against her for being too conservative, too friendly to developers, too lenient on the police. As Seale sits on a park bench outside Oakland City Hall, he spots one of the most omnipresent of those activists, Cat Brooks, striding across Frank Ogawa Plaza. Brooks, like Bobby Seale, knows something about self-reinvention and a lot about battling Oakland police. Now, almost half a century after Seale, she is running for mayor of Oakland. Just about whenever there is a protest in Oakland, Brooks is there, leading the charge, criticizing the people in power. She was a vocal part of Occupy Oakland, is a part of Black Lives Matter, and with her group, the Anti Police-Terror Project, she is at the forefront almost every time someone is killed by Oakland police. Brooks is not Oakland Mayor Libby Schaaf’s only competition in the race. 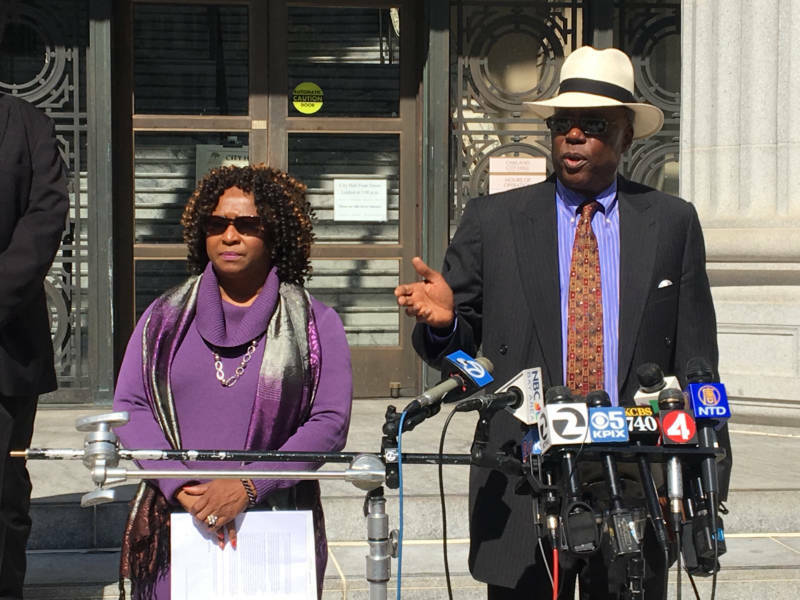 Brooks and civil rights attorney Pamela Price, who recently challenged Alameda District Attorney Nancy O’Malley, are both polling at 17 percent. (All the other candidates received 1 percent or less). According to a poll from the Chamber of Commerce, Schaaf is leading the pack of 10 candidates with 37 percent of the vote. That is below the majority she needs to win outright in ranked-choice voting. Brooks and Price could constitute a challenge to the mayor, if those who vote for Price write down Brooks as their second choice, or vice versa. Recently, articles in Mother Jones and Teen Vogue have spotlighted Brooks, painting her as a progressive activist and Black Lives Matter candidate, taking on Schaaf, an established Democrat with substantially more money and party-line endorsements from traditional California Democrats such as outgoing Gov. Jerry Brown and his heir apparent, Gavin Newsom. Brooks was raised on the front lines of protests in Las Vegas by her activist mother. She got involved in grass-roots organizing for education reform across California. But it was in Oakland that she said she found her calling as an activist against police brutality. It was Oscar Grant's killing on New Year's Day 2009 that did it. “Something shifted in me, in a way that I can’t put words to,” Brooks said. As Seale and Brooks talk, it’s hard not to feel as if he is passing on his torch. “You are the activist of activists now, running for mayor. And I support all of that. Every bit of it,” he tells her. Schaaf’s first term was roiled by scandals beyond her administration's control. The Ghost Ship fire, which took the lives of 36 people on Dec. 2, 2016, was seen, in part, as a failure to follow up on safety concerns at problem properties. A sexual assault scandal within the ranks of Oakland police and other local law enforcement agencies saw the Police Department cycle through three police chiefs in just a little over a week. The chaos was in part, critics suggest, a product of a department desperate to get out of federal court oversight weighing on it since 2003. As a first-term mayor, Schaaf inherited both the fire and police departments. She also inherited, by dint of geography, a city on the verge of a great financial boom, a ripple from the tech takeover of the Bay Area. But this financial renaissance has also led to increasing inequity. Schaff touts Oakland Promise, a program that helps Oakland students go to, and pay for, college, as one of her success stories. That program, like many of the youth it promises to serve, is still in its infancy. This fall Schaaf announced another program, Keep Oakland Housed, which puts $9 million toward keeping those on the verge of homelessness from falling off the cliff. Schaaf said the forces fueling gentrification and surging displacement are not coming from within the city. Schaaf said her experience in government is her strength, along with her passion for her hometown. Schaaf knows that the changes in Oakland have created anxiety and trauma, but she sees the city's unique personality as the glue. "You can belong, whether you're an old-school native like me or, as we say, OG, or whether you are a newcomer," she said. "It has to do with whether you connect with our values." What Does 'Progressive' Really Mean? To win elections in Oakland these days, you probably have to be a Democrat, and it helps to call yourself progressive. But the question is: What does it really mean to be a "progressive" politician? Nationally, Schaaf has been branded by the far right as a resistance mayor for her public warnings about an imminent immigration raid in February, letting people know that ICE was coming to the East Bay. When asked about the narrative of progressive candidates running against Schaaf as an establishment Democrat, she was quick to answer. "If you watch Fox News, you’d think that I am the most dangerous radical in America,” she said. But Oakland is far from the Fox News base. Schaaf's most prominent opponents, Cat Brooks and Pamela Price, are running against Schaaf from the left. Brooks criticizes the Oakland Police Department's collaboration with ICE in a 2017 operation in West Oakland, and she accuses Schaaf of playing politics when she warned the public about immigration raids earlier this year. Brooks said Schaaf’s programs, by depending so heavily on philanthropic dollars, are no better than a neo-liberal Band-Aid on inequity. But Schaaf points to her endorsement by the alt-weekly East Bay Express as "the progressive candidate." (The paper's endorsement did not actually use the term "progressive.") Her campaign slogan is "Oakland Tough" and her campaign flyers laud the fact that she has taken on the president directly. In the Chamber of Commerce poll, Schaaf is leading among all ethnic and racial groups. At a recent house party for Cat Brooks' campaign, the young, mostly white, prospective voters sat on pillows and couches to hear Brooks speak. Brooks laughed a little. “I’ve seen people that I love dearly put on Facebook, 'I can’t wait 'til Cat Brooks is mayor, and she abolishes the police.' That’s not going to happen,” she said. But Brooks said she is also pragmatic, and she understands the role of an activist and the role of a mayor are not the same thing. Policing and crime, once the most hot-button topics in Oakland, are no longer the number one concern of residents. Now it is homelessness, housing and displacement. That’s what matters to William Lowe. He came to the house party for Brooks’ campaign to meet her for the first time. Just down the street, clusters of tents make up homeless encampments that stretch on for blocks. West Oakland has been ground zero for displacement. In a recent survey, over 80 percent of the unhoused population had been formerly living in a home in Alameda County. "Watching people who work harder than anyone I know, not being able to stay in a neighborhood that they’ve called home for 20-plus years," is heartbreaking, Lowe said. "I’m barely holding on, and I have so much more privilege." Brooks, Price and Schaaf all agree that what happens in the next four years is pivotal to the future of Oakland. Because in that time Oakland could be irreversibly gentrified. But they vastly differ on what — and who — is needed to stop that from happening. Schaaf makes the case that she has the political experience to tackle the complex issues facing the city. Her two main opponents are relative political newcomers who’ve never been elected to a local government office. 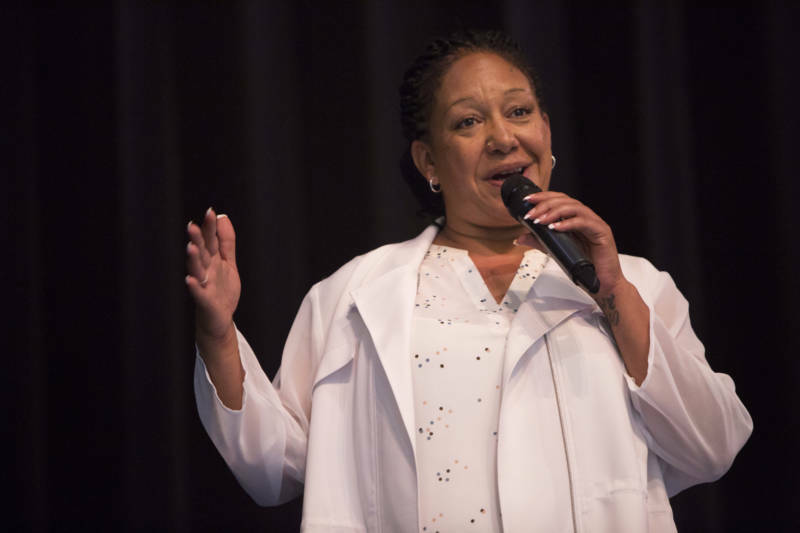 Price was elected to the Alameda County Democratic Party, representing the 18th Assembly District, in 2016. And Schaaf said she welcomes and loves Oakland’s activist edge. "We are a feisty city. We don’t like authority or power. We challenge status quo thinking." But Brooks accuses Schaaf of being that status quo, and she said the last four years of displacement and the homeless crisis happened under Schaaf’s watch. 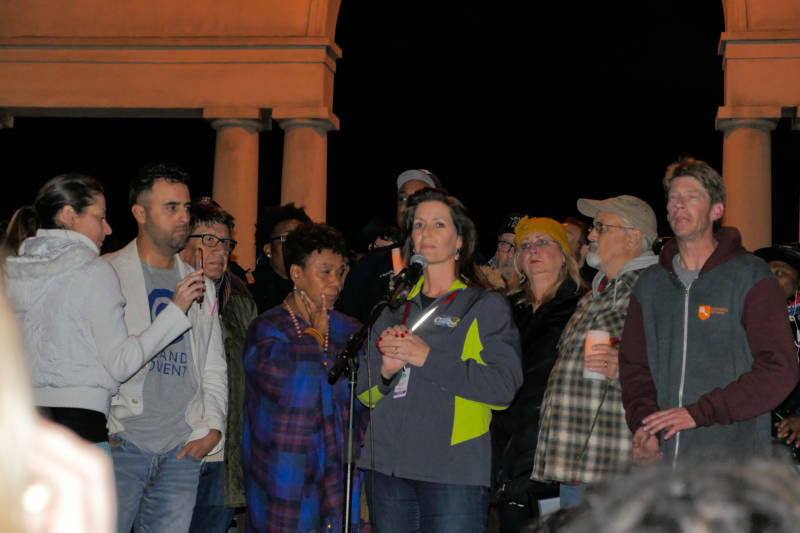 "We are either going to keep on the road that we are already on, to increase gentrification and homelessness," Brooks said. "Or we are going to take a hard turn to the left." Brooks is banking on her argument that a political left turn is the only thing that can save what she calls "the soul of Oakland." "Losing the soul of Oakland isn’t just bad for Oakland, it’s bad for the country, particularly right now. We’re supposed to be the most progressive city in the nation," she said. It is up to voters to define what kind of progressive city they want, and which leader they think is best equipped to get them there. This article was amended to add that Pamela Price was elected to the Alameda County Democratic Central Committee. A previous version of this article said Price has never held an elected office. While Price has never been elected to a seat in local government, she was elected to her position by Democratic Party members.